In the fourth part of this Google SketchUp tutorial I show how to draw the front door, windows, and exterior trim. By the end of this clip the house is really starting to look like a complete tiny house and only needs siding and a finished roof, which I’ll cover in part 5. In part 6 we’ll move inside and draw interior walls, bathroom, and kitchen. 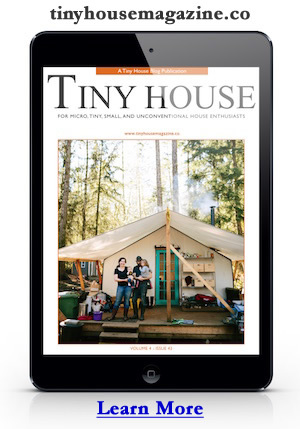 Be sure to follow along on YouTube by subscribing to the Tiny House Design YouTube Channel. This entry was posted in How To and tagged 3d, drafting, drawing, sketchup, tiny house, tutorial, youtube. Also, I chuckled when you drew on the ‘decorative indent’ on the door. Maybe people have forgotten why doors look the way they do?? It had everything to do with doors being made of wood and wood movement of large flat panels. Flat ( or raised panels) were put loosely in a groove formed by the boards which ran around the perimeter of the door. If doors were solid wood then wood movement in a door would be catastrophic with the different seasons. Doors would jam or warp in wet seasons and have gaps in dry seasons. REALLY love the vidoes google sketchup. They inspire me to design my own small eco-house. Please post the rest of them SOON.